The common partnerships happen between the hotels and the airlines, but, now-a-days, some of the airlines started to build the partnerships with the vacation rentals such as Airbnb. Qantas announced that it is going to reward the customers, who wish to stay in the Airbnb. Customers will get one reward point for every $1 they spend on the Airbnb and the customers who earn 45,000 points gets a free one way flight from Sydney to San Francisco. On the other side, the Virgin Atlantic gives 20,000 points to the customers if they sign as the hosts on their site and they have to complete the five complete hosting nights. Some of the experts in the industry say that, partnerships like these will make other domestic airline companies to do the same act. Qantas 11.4 million frequent flyer members have the change to get the Qantas points for every single dollar they spend on Airbnb bookings, only if the customers book through Qantas.com. In spite of having many obstacles at the beginning, Airbnb’s success story is one of the great success stories of the internet revolution. The home-sharing company now has 2.5 million accommodations in around 191 countries across the globe. The company allows its hosts to make money by renting the short-term rental properties and the company also provides the cheaper accommodations to the travellers. But there are some controversies between the traditional hotels and the Airbnb. 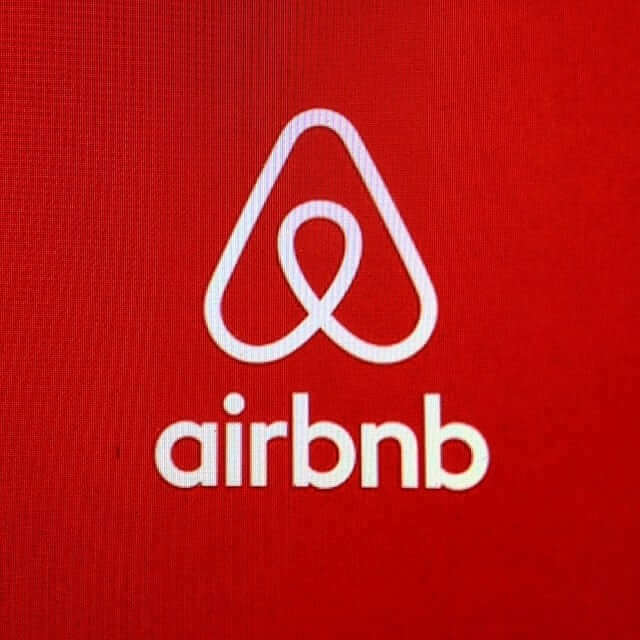 The traditional hotels impose stricter regulations on Airbnb. With this partnership with Qantas, it is the first time Airbnb is working with an airline, and it is also the kind of a move by the Australian carrier to build the partnerships with the digital, innovative and technology businesses. Alan Joyce, the chief executive of Qantas said that, the company was always trying to reinvent the airline and to bring out something different and the executives are excited about this healthy partnership. Joyce said that, with the digital revolution, the way people book and experience the travel has changed a lot more. Many of the Qantas travelers prefer Airbnb than the hotels, so it is important to give rewards for them. Mr. Brian Chesky, the boss and co-founder of Airbnb said that, with the Qantas partnership, the available unique and personalized experiences are going to grow bigger. Airbnb is highly focused on connecting the travelers with the locals to have better hospitality. By welcoming the travelers with the community of the locals, they feel comfortable with the places and surroundings. There are only a few brands that understand travel is changing rapidly now-a-days, and this change happens for the better, Qantas is one of those brands which understands rapid changes in the travel industry happens for the good. To highlight the importance of the partnership, Qantas conducts a competition, in which, the frequent flyers who book the Airbnb through the Qantas website by the end of October, gets a free flight to San Francisco. Frequent flyers can book their trip in the Qantas.com, and then they will be directed to the Airbnb website to complete the booking. The loyalty programs become the important reason for the airline to increase its revenue and about 45% of the increase in revenue came from the new ventures. This partnership benefits both the hosts and the guests, but people have to use Airbnb through the Virgin America website. For the guests, if they complete the booking by their elevate number, 1,500 points will be credited to your account, then the customer will get one point for every single dollar they spend on Airbnb through their site. For the hosts, if the person is the Airbnb host, then they will receive 20,000 points for completion of the first stay. When you get the first 1,500 points, Airbnb guest rounds up $34.50 for 200 points it takes an average of $200 or $4.60 for per night. If you earn 20,000 points then it gives the value of $460, this amount can be used for that weekend flight from Ney York to Vegas that costs $305 per trip. Staying in Airbnb vacation rental instead of a hotel helps to earn more reward points. This is because some of the networks like, MasterCard and Visa classify Airbnb into the travel agency category, not in the real estate or other such categories, so because of this, people can earn more points on the credit cards, which even gives reward or bonus to the people to travel and there will be more advantages when you make the Airbnb purchases. With the help of the chase sapphire preferred card, people earn two points for every single dollar they spend on the travel and dining, this even includes Airbnb also, and they earn one point for every single dollar they spend anywhere. NerdWallet values have more reward points; they earn 1.25 cents when they use it to book for the travel. This reward is higher than the other card reward system. Above that, the customers will get 50,000 bonus points if they spend $4000 on purchases in the first three months of the account opening and the customer earns up to $625 if they redeem through chase ultimate rewards. It is fair, if the customer redeems the points through the chase ultimate rewards, they will get an additional 20% offer on travel. There are many redemption options, but this card will be reasonable for the travelers who wish to spend points with many travel loyalty programs. Barclaycard arrival plus world elite master card rewards through the travel purchases, similar to the chase sapphire preferred card. Customers earn two miles per dollar, which they spent on all the purchases, this includes Airbnb also. The best feature of this card is that, the customer can redeem points for the Airbnb costs and also other travel charges. For the frequent travelers the card values arrival miles at one cent. The most feasible facility in this card is that, the customers can earn 50,000 bonus miles if they spend $3000 on purchases in the first 90 days of purchasing the card. That is more than enough to redeem $500 travel statement credit. Not only Barclaycard arrival plus world elite master card that helps the customers to pay for the Airbnb stays, but the American Express also provides this facility, this company provides this facility because, the American Express is one of the business partners of Airbnb. With the help of the card, the customers can redeem the membership points for the Airbnb gift cards at a value of the single cent per point for $100 spent, or $250 spent for gift certificates. The disadvantage with this card is that, the certificates can’t be paired for other promotions and they can be used for per bookings. If the cost of the stay id $1000 then the customer has to pay the majority of the amount of the card or cash, even though you have enough points to get the more gift certificates. But for the people who hold the American Express cards and they love Airbnb, then redeeming for the gift certificates will be the money saving move. Airbnb is different from the other vacation rental companies and it is one of the important reasons to be credit card friendly. For the people who have doubts in choosing the rental marketplace for the vacation, Airbnb will be the best choice for them. This article was published in Internet and tagged Airbnb.